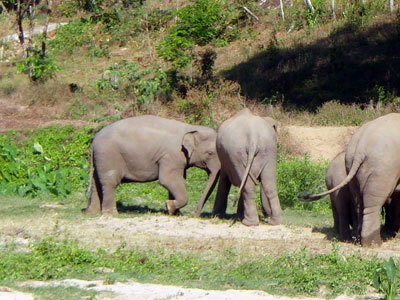 Today's morning walk was the highlight of our visit at the Elephant Nature Park. 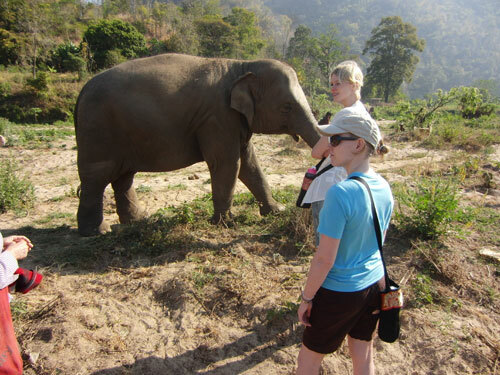 We strolled through the park area with Trudy, an American who now spends most of her time at the ENP and has become a real elephant expert. 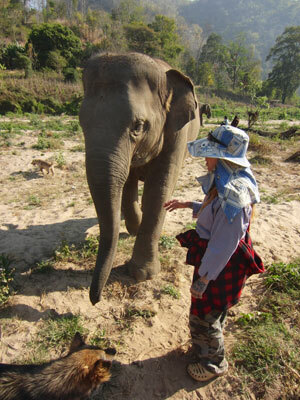 She can tell a lot about every single elephant and knows each animal's character and their relationships within the groups. 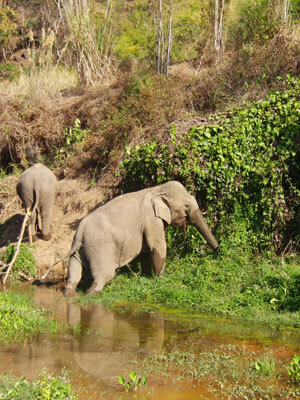 It was amazing to be so close to the freely roaming elephants. 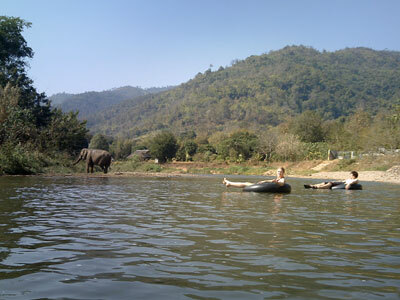 In the afternoon we joined the elephant bathing again and after that we went tubing. 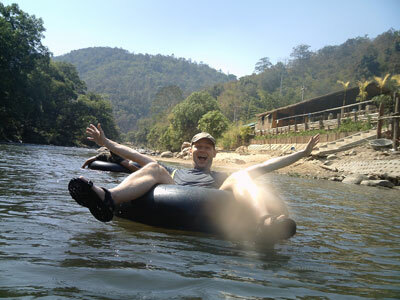 A few kilometers upstream we started floating down the gentle river in truck's inner tubes. 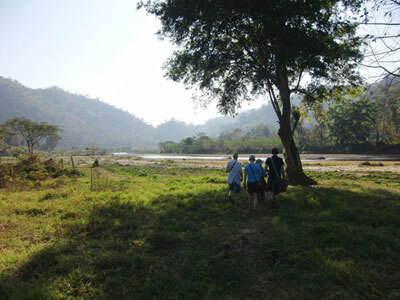 It was a very nice and pleasant ride and also a good refreshment. 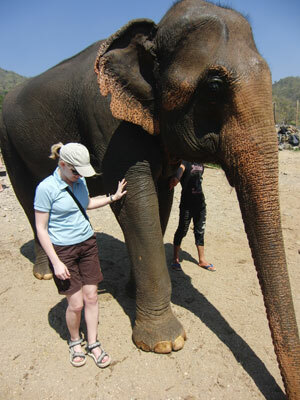 Then we had to go back to Chiang Mai again. 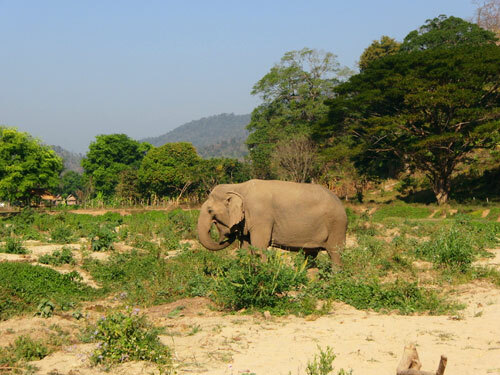 We loved being at the Elephant Nature Park and getting in close contact with those lovely animals. 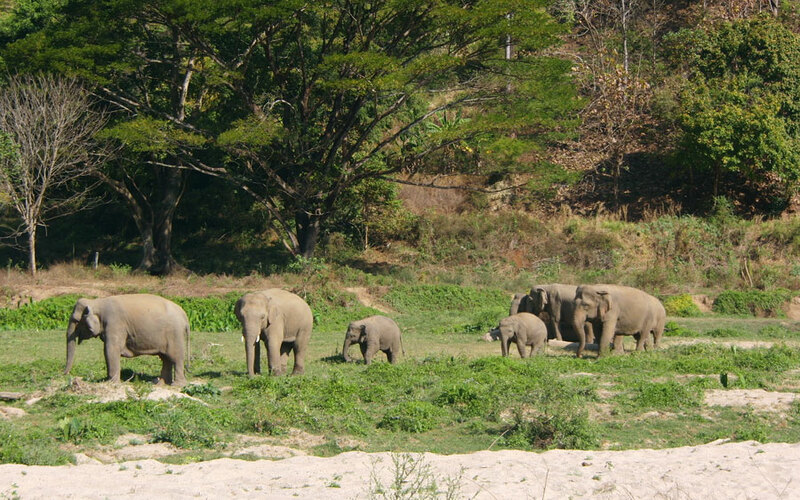 Even if still not everything is perfect this is certainly a big improvement for the overall situation of these elephants. 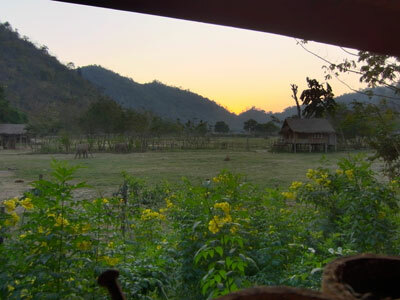 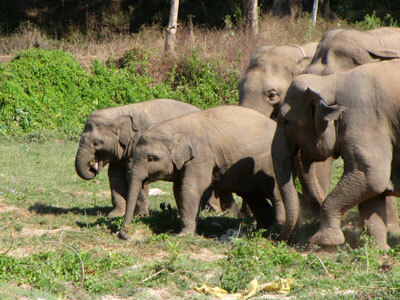 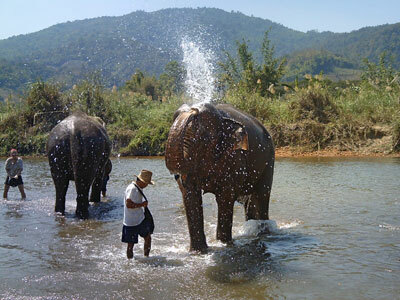 If we ever come back to Thailand we definitely want to spend at least one week volunteering in the ENP.